I’ve mentioned this in another article, but I’ll explain it again here. There is a possible way to get free drinks if your friends get sloshed enough, and your moral compass is more broken than your liver. Invite a group of friends out to drink with you – the more the better. Try to make it at least six people. Once the venue is agreed upon, be sure to arrive about 40 minutes late. By then, most people would have ordered a few bottles, a whole beer tower, etc. You can probably leech off the drinks already ordered, without calling for any yourself. If everyone’s sloshed enough at the end of the night, chances are good that no one will notice. For other money saving tips, you can always stay tuned with us on Facebook. Five Izakaya is modeled after Japan’s 300 Yen bars, which are basically just alcohol dispensers with walls. The “five” in Five Izakaya refers to the price of the drinks – you know how everything in Daiso is $2? Same concept here. Virtually every drink in this bar is $5. There are no gimmicks and no happy hours. It’s Asahi, Shochu, Choya, and various types of wine all going at $5 in the bar – anytime you walk in. Even the snacks are $5, probably because you can’t handle a more complex bill by the time you’re done. One problem though (at the Collyer Quay Outlet, I can’t speak for the others) is the food. It’s wildly inconsistent, and on some days the chicken tastes like pure mouthfuls of salt. But on most days the food is passable (And frankly, complaining about the food in a $5 bar is like complaining about the music in an elevator). There are three outlets, as described below. Cons - Food can be inconsistent. 16 Collyer Quay, #01-05B / Tel. 6536 8955 / Open from 12pm – midnight on Mon. to Fri. Open from 6pm – midnight on Sat. Closed on Sun. and Public Holidays. Let me get this out of the way: I hate a lot of the clientele at Insomnia. Many of them are younger than me, which is depressing and therefore a personality flaw on their part (send rational retorts to noonecares@whatever.com). My point is, the crowd can feel a bit youngish if you’re in the 35 to 40+ age range. The music and ambiance seem catered to the young-bloods too, so the dance floor and conversation may not be too attractive. That said, the booze is free flow. From 9pm to 11pm on Wednesdays, $20 will get you all-you-can-drink from the bar. And right up till 31st December 2013, you also get 40% off standard drinks via the CHIJMES promotion. Overall, if you want to drink on a Wednesday and you know you’ll be downing a lot more than $20 worth, come to this bar. Pros – All you can drink for $20. Until 31st December 2013, 40% off standard drinks. Cons - If you’re over 35, you’ll get the odd feeling that you just gatecrashed a 16 year old’s birthday party. #01-21 CHIJMES, 30 Victoria Street / Tel. 6338 6883 / Open from 11 am to 4 am on Sun. to Tues. Open from 11am to 5 am from Wed. to Sat. This place is as much about food as it is about drinks. And as the name implies, Tanuki Raw is about raw foods – in particular oysters. During Happy Hour (5pm to 8pm), this place serves up $10 Martinis. Every martini you buy lets you purchase up to a half dozen oysters at $2 each, and a plate of salmon sashimi at $5. So two martinis means you can buy 12 oysters and two sashimi plates, and three means you can buy 18 oysters and three sashimi plates, etc. This is one of my default hangouts, so trust me when I tell you (1) the drinks are insanely strong, (2) the Steak Tartare is amazing, and (3) Dennis is an awesome musician – I think he plays on Tuesdays and Saturdays. This lovely arrangement isn’t going to matter after you get hammered. Standing Sushi Bar has two outlets in Singapore, each running different promotions. They’re also the parent company of Tanuki Raw. Do note that I’ve only visited the one at 8 Queen Street. The place at Queen Street comes close to Five Izakaya’s promotion: you can get $5 beers, wines, umeshu, etc. on certain days. 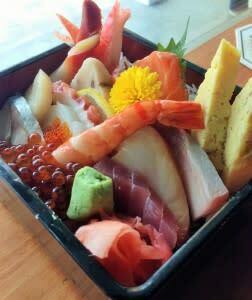 This is paired with the chance to buy $3 sashimi plates. I’m told Standing Sushi Bar is related to Tanuki Raw, and their highly similar, cross-selling promotions also suggests it. A quick note: When it’s busy, the place sounds like a percussion section fighting a lion dance troupe. It’s noisy as hell is what I’m saying, so you won’t be drinking in peace – if that bothers you. 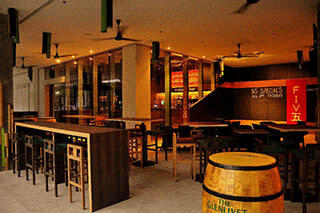 At the Marina Bay Link Mall, happy hour is from 5pm to 8.45pm. You get $10 martinis, and $5 beers and sake. There’s also a range of $5 foods to pick from. Cons - At the Queen Street outlet, can get too noisy if you’re trying to conduct business or drown your sorrows. 8 Queen Street, #01-03 Singapore Art Museum / Tel. 6333 1335 / Open daily from 12 pm to 2.30pm, and 6pm to 10pm. That’s not a typo in my header. 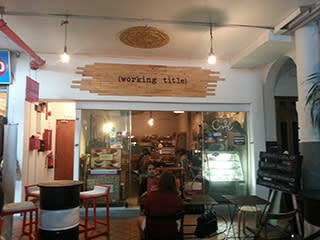 Working Title is a cafe-bar on Arab Street, which adjoins – nay, is attached to – a hostel. The place has kind of a hipster vibe, but if you’re not allergic to that it’s a quiet place to talk and drink. The big star here isn’t the ambiance anyway, but the range of exotic booze at good prices. Chocolate beers, fruit beers, various unpronounceable craft or foreign beers, etc. line the racks at prices as low as $8. That’s great because (1) experimentation is always entertaining, and (2) it’s a fairly low price without anything being on promotion. You don’t have to accept bad house pours, or whatever the bartender squeezes out of his rag into your mug, just to get a good discount. Overall, Working Title is not the cheapest place on this list. But if you want affordable + different, duck in here for a taste. 48 Arab Street / Tel. 9734 4187 / Open from 9am to 10pm on Sun. to Thu. Open from 9am to midnight on Fri. and Sat. Click to Compare Singapore Home Loans, Car Insurance and Credit Cards on our other sites.